The twilight years seem to have passed. New bars and clubs help Amsterdam to re-invent itself. Europe’s long gone homo capital Amsterdam had a particular bad year last year, not only as Berlin and Barcelona had taken over as more popular destinations. At least as far as the gay scene is concerned. 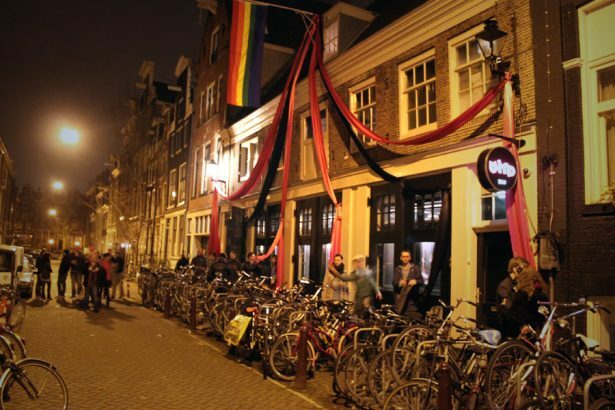 Amsterdam has become less and less attractive to gay tourists since the late 1990s- not least due to strict regulations imposed by the city administration on gastronomy, such as the consumption of alcohol in outside bars in the street. The party scene has either moved beyond city boundaries or as far as to Antwerp and Brussels. Many weekend visitors stayed away, many gays turned their back on Amsterdam. The worst-case scenario unfolded in June 2010 within gay gastronomy: entrepreneur Sjoerd Kooistra passed away under mysterious circumstances and in debt. He was a sort of “godfather” of Reguliersdwarsstraat, probably the most famous gay street in Amsterdam. Almost all bars and clubs of the Kooistra empire toppled like dominoes in just a few weeks and closed down, including Exit, April, Soho and Arc. Cockring club, the most important club in the leather scene on Warmoesstraat, was closed due to violations of Narcotics Law. What appeared no less than a catastrophe at the time is now seen as an opportunity for Amsterdam to make a fresh start. Brendan van Ruit, ex-manager of Exit, now runs his own pub Taboo in Reguliersdwarsstraat. 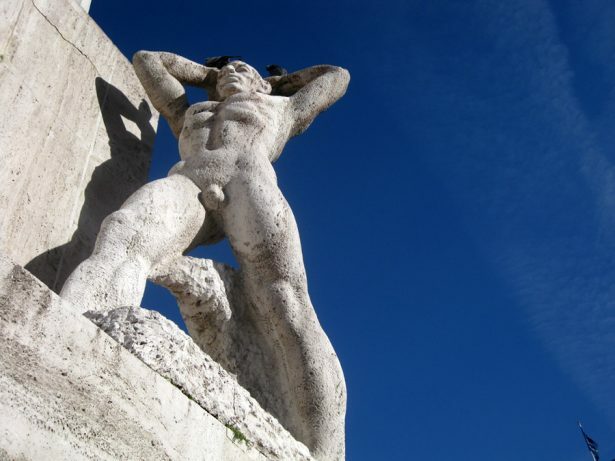 In his opinion, it is time for the city’s gay scene to change. It was too settled, deadlocked and without any creativity. 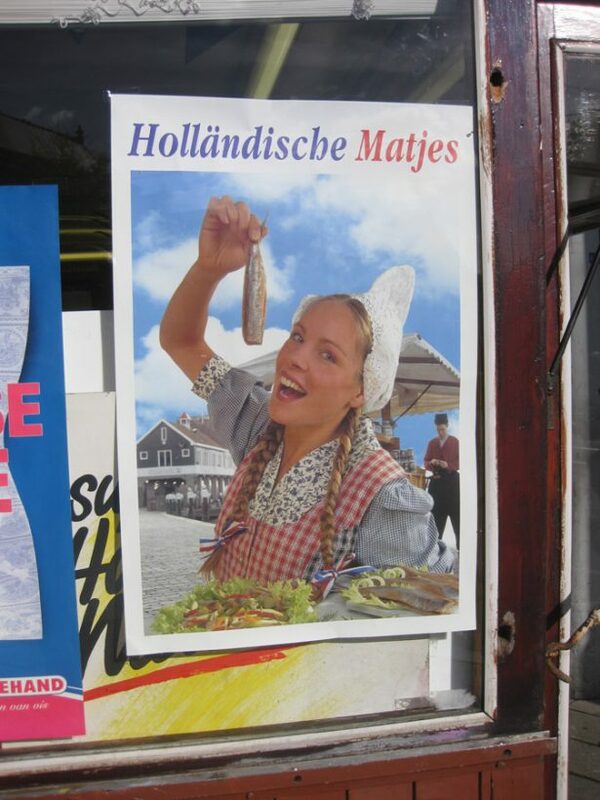 Service was bad and inferiour products on offer, as the restaurateur Casper Reinders told Dutch homo magazine “Winq”. “I have the impression that there haven’t been many good gay entrepreneurs in the past years. This is certainly related to the fact that only one person owned a lot of businesses, but most others simply lacked taste and creativity. The heterosexual owner of bars such as Jimmy Woo and Lion Noir has opened April bar under the new name Ludwig and wants to make the once most popular bar a very special place for gays: curtains are by Christian Lacroix, the armchairs by Garcia for 2000 Euros a piece. And the other cafés, bars and clubs are also open to visitors again: Cockring became Fuxxx, Arc became Eve. 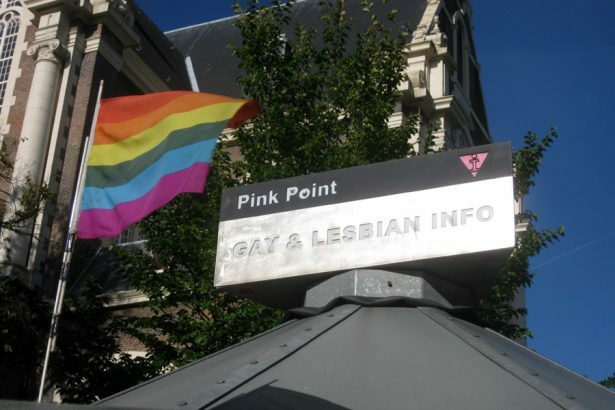 Those who come to Gay Pride to Amsterdam and its unique boat parade on the first weekend of August will already be able to have a peek at “new” Amsterdam. Trendy gastronomy is again supported by the city, applying special regulations for street gastronomy and cafés in Reguliersdwarsstraat. But it is really Spuistraat that is leading the wave of re-invention. Prik is a small, cosy bar and lounge with a wide range of genever (a liquor close to gin) cocktails and finger food. It attracts a young crowd that is neither just self-centred nor shy of contact. The bar was named Best Gay Bar by Time Out magazine in 2010, and young owners Gerson van Eck, Jelger Bakker and Philip Yeldon are like the new heroes of the gay scene. 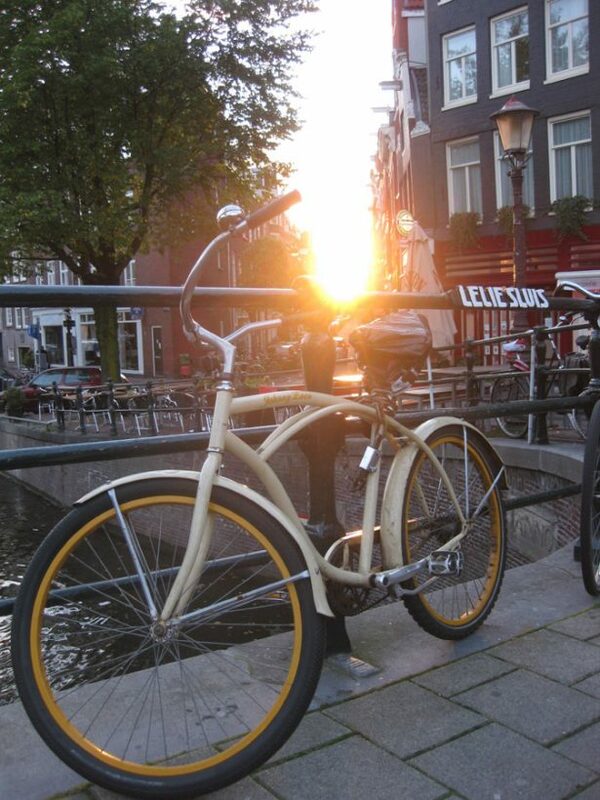 They embody all the creativity that has been missing in Amsterdam for so long. And they are successful. So much so that they started a new project and opened their second bar on Kerkstraat in spring. The two-storey Bump is a mixture of club, lounge and bar and has quickly become the gay scene’s favourite. The old building once housed the House club Homolulu, a legendary club run by lesbian author Güner Kuban. The former stable was then turned into a restaurant for several years. Bump is another gay business opening on Kerkstraat after a long time at a traditional address for the gay scene. Apart from cruising club Church, Spijker Bar and sexshop The Bronx, there are also two gay hotels: Golden Bear and Amistad. It looks as if Amsterdam can’t be written off that easily. Official homepage providing all information and and event calendar. Dutch airline KLM offers daily departures to Amsterdam Schiphol from 10 German cities i.a. Munich, Berlin, Frankfurt, Hamburg. Return tickets are available form 89 Euros.